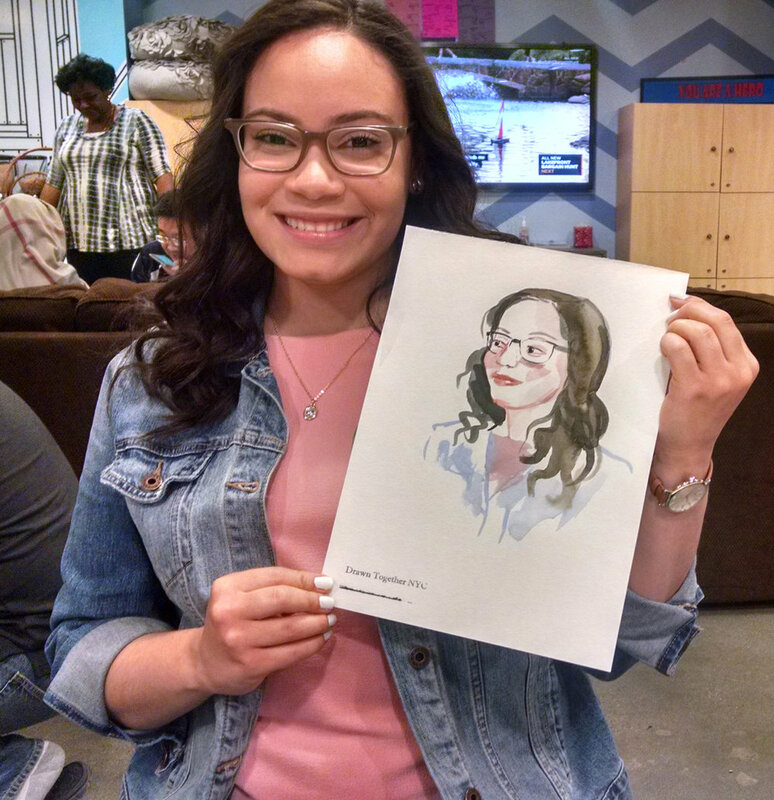 Jenny uses watercolor and gouache to paint beautiful illustrative sketches of event guests. She quickly captures a likeness of her subject with a delicate touch and a mastery of color. Jenny is a masterful painter and illustrator, specializing in fashion and editorial artwork. Her painted sketches recently appeared on the cover of the New Yorker. She teaches painting and drawing at the City College of New York, as well as various painting and drawing workshops around the city and online.